Mitsubishi Electric is a pioneer in the development of renewable heat pump technology that offers improved energy efficiency and meets tough legislation. Heat pump technology has been used around the world for decades and Mitsubishi Electric have developed this technology to produce Ecodan – one of the most advanced, efficient heating systems available today. The Ecodan heat pump range is suitable for small to large applications, be that domestic or commercial. Using proven heat pump technology to deliver effective, low carbon heating and hot water, Mitsubishi Electric’s award winning Ecodan systems provide a simple, renewable solution that rivals traditional heating systems. By simply using a Mitsubishi Electric Ecodan air source heat pump to provide domestic space heating and hot water, it is possible to greatly reduce CO2 emissions and your home’s running costs. Using proven heat pump technology widely used in the heating and cooling industry, Ecodan upgrades naturally occurring energy from the air and uses this to provide domestic space heating and hot water. Heat pump technology has been used around the world for decades and Mitsubishi Electric have developed this technology for domestic application to produce Ecodan – one of the most advanced, efficient heating systems available today. 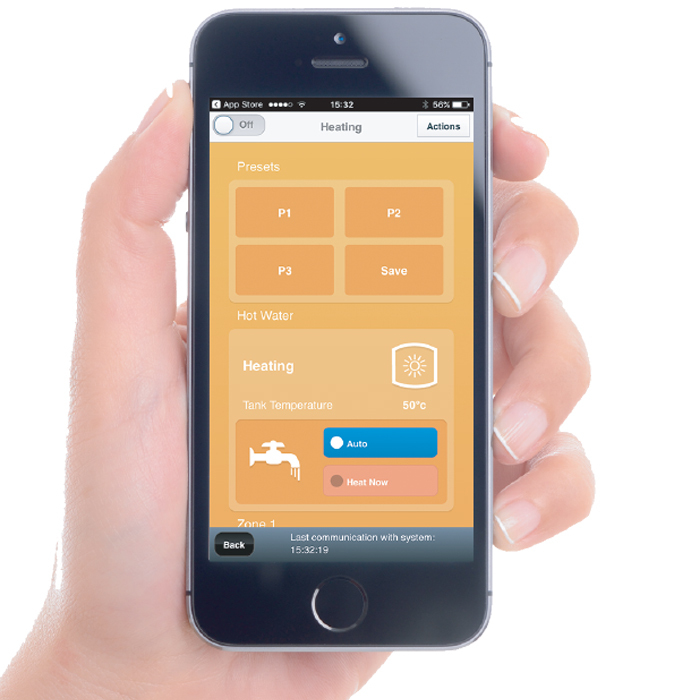 Full remote control of system features, such as hot water and heating functions, frost protection, holiday mode and the 7 day schedule are also available from anywhere in the world via MELCloud.